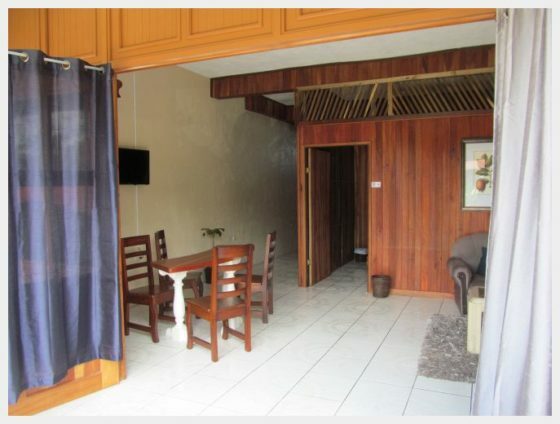 We were expecting simple, budget accommodation in La Fortuna. What we got at Arenal Xilopalo was an experience that touched our hearts and left us yearning to stay far longer than our short stay in Arenal La Fortuna would allow. 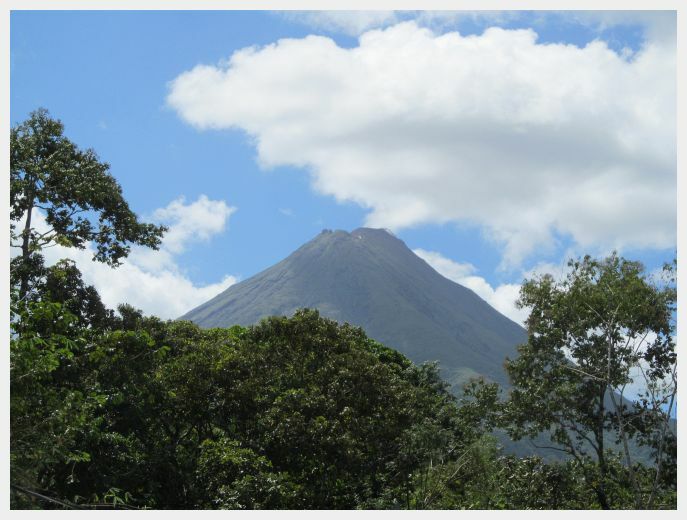 If you are looking for hotels near Arenal Volcano you should definitely put Arenal Xilopalo on your short list. If you are looking for things to do Arenal Costa Rica, come back up when you are done to check out some of these other posts from out time in this beautiful jungle paradise! 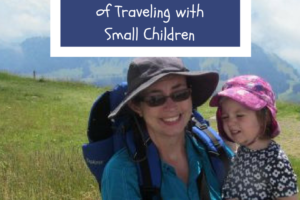 Kalambu Hot Springs Water Park – The PERFECT Arenal Hot Springs for Toddlers! The Arenal Xilopalo Hotel is a family run operation owned by a delightful and entrepreneurial spirit named Jose. When we arrived, Jose was occupied but Jose’s mom welcomed us with glasses of fresh orange juice while we waited to check in. When Jose arrived a few minutes later, he hurriedly checked us in so that he could show us some of the trails around the property and one of the resident sloths sleeping in the trees before it got dark. The next night, he caught us and showed us a blue jean frog. Arenal Xilopalo is truly a work of passion and a work in progress. Jose clearly has a passion for sharing the land with visitors and in making people feel genuinely welcome. 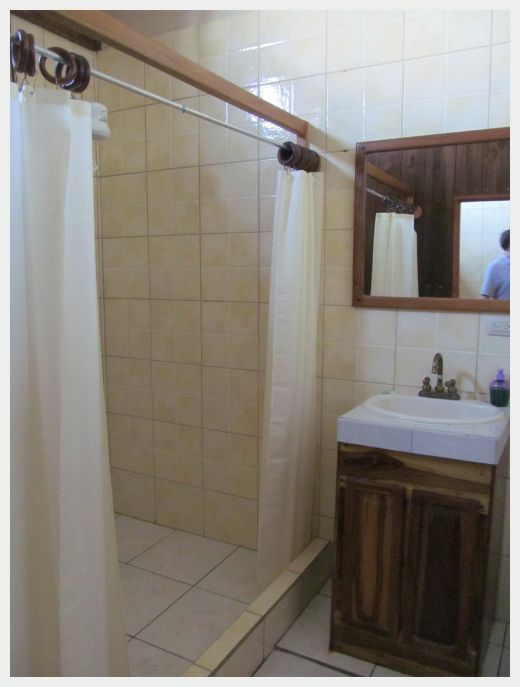 His passion is a large part of what makes this one of the best hotels in Arenal Costa Rica, especially for families looking for a warm, safe place to stay on a budget. The hotel came about after Jose’s father got tired of renting apartments. They had previously been in the transportation sector or Costa Rica’s tourism industry, driving folks around. They decided to try the hotel business and Arenal Xilopalo was born. Xilopalo itself is a type of petrified wood that is indigenous to the Arenal La Fortuna area. It is purported to have a number of healing qualities. You can see beautiful examples of this stone in some of the beautiful sculptures carved by a local artist that grace the hotels lobby. You can also buy small carved pieces of Xilopalo wood as a lovely souvenir of your time here. Arenal Xilopalo currently offers some renovated and some unrenovated rooms. We stayed in one of the unrenovated rooms and it was a little rough around the edges (but a SUPER deal!) To be honest (until the renovations are completed) if your budget allows for it I would book one of the newly renovated rooms. 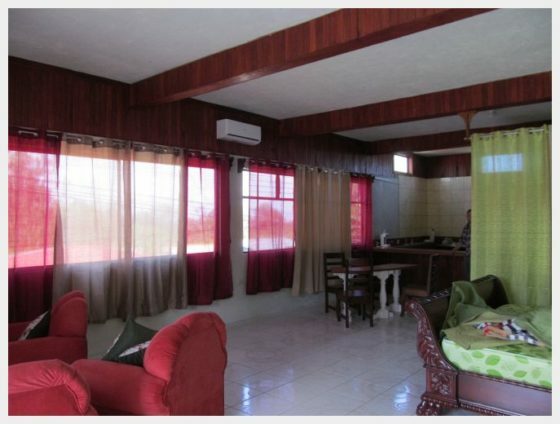 The renovated rooms are beautiful, spacious and perfect for a family with kids! The ones that we saw were up on the second floor. They have a balcony that overlooks the La Fortuna Arenal volcano. 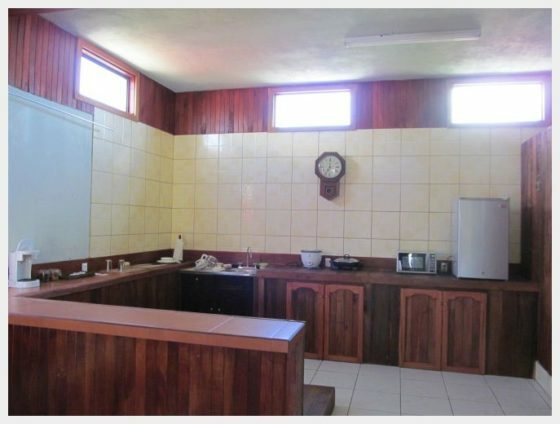 They have beautiful, rustic wood walls, kitchens, living rooms and lots of space to spread out. One of the renovated rooms at Arenal Xilopalo – open and spacious with beautiful views of the Volcano. Perfect for a family! Everyone at the hotel was welcoming and helpful with any need that we had. This property is a little rough around the edges now. The lobby and grounds are still in the process of being renovated. When it is complete Arenal Xilopalo is going to be an amazingly beautiful property (and I am sure the prices will go up accordingly). Some little details about things that I had read in some Tripadvisor reviews about this place – the WIFI worked great, and AC was cold and the rooms were clean. When you stay Arenal Xilopalo, there is a restaurant at the back end of the property. 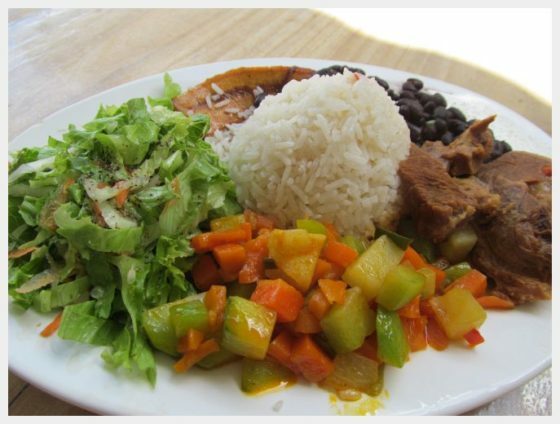 They offer guests a great deal – $7 for a casado or a hamburger with ice cream and a fresh fruit smoothie. It was honestly not particularly authentic. It caters almost exclusively to tourists, but the service was fast and the food was good. It is a good option if you need something easy and quick (bring a flashlight if you are walking over there after dark – the path through the jungle back to the hotel is not lit and it was a little spooky at night). 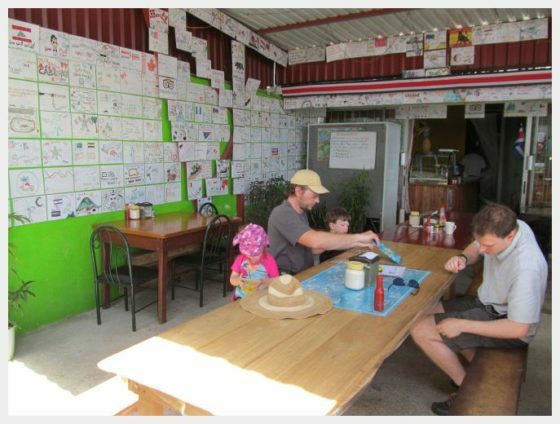 Our FAVORITE La Fortuna Costa Rica restaurant near Arenal Xilopalo is a truly off the beaten path hidden gem. It is tucked away in an odd parking lot behind some other buildings. 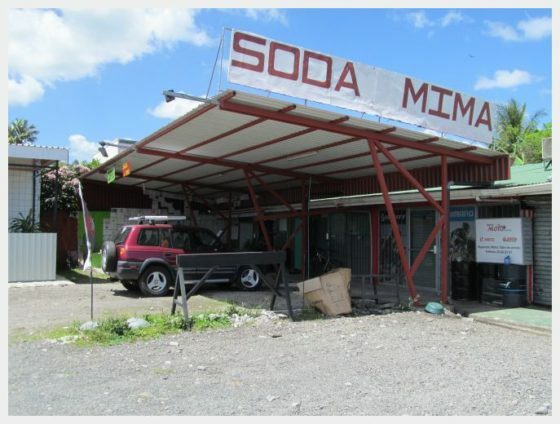 It is called Soda Mima, and you shouldn’t let its rough surroundings dissuade you. This was some of the best Costa Rican food we ate during the whole trip and one of the best restaurants La Fortuna Costa Rica. Soda Mima – the BEST restaurant near Arenal Xilopalo. A true hidden gem! 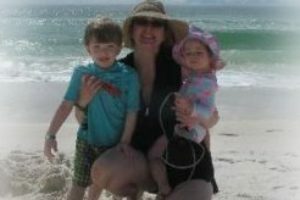 Soda Mima was casual and perfect for eating at with the kiddos! 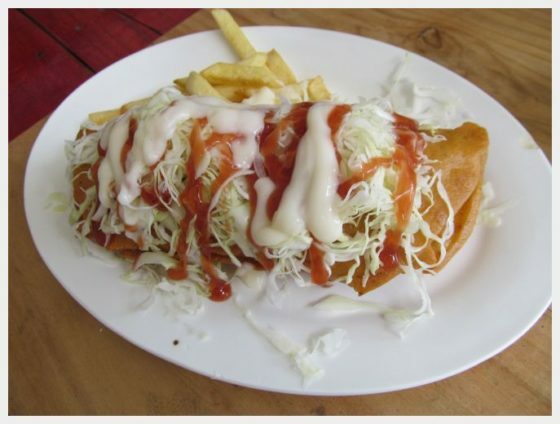 No joke – this was by far one of the best meals that we ate in Costa Rica! If you go to Soda Mima, you have to order this taco. It was one of the cheapest things on the menu yet it was huge and soooo good! All of the entrees that we ordered were noteable and worthy, but the taco was especially memorable. It was HUGE, the meat was tender and well seasoned. One could have easily fed two people. We wished that we had found this place sooner – we didn’t get over here until our last day right before we left. 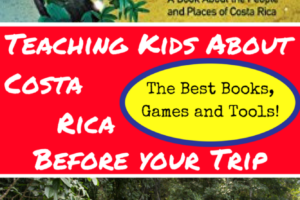 Definitely a must if you are visiting La Fortuna Costa Rica. 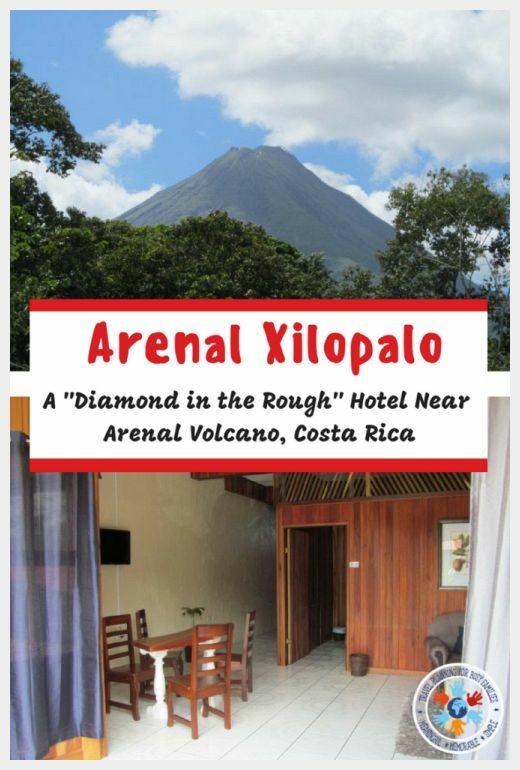 In summary, if you are looking for a hotel or hostel La Fortuna Costa Rica with beautiful views of the La Fortuna Arenal Volcano, I can wholeheartedly recommend a stay at Arenal Xilopalo. The renovated rooms, beautiful surroundings and warm hearts of the family that runs this hotel are more than enough to over look its rough around the edges façade. We will definitely and wholeheartedly go back! What a great trip! This is really awesome pictures and nice post.. Thank you so much for sharing this experiences..